eyoControl is a set of MIDI controllers for the iPad to work with your Digital Audio Workstation (DAW) software or MIDI instrument, as a control surface or a virtual instrument/controller. – Surface: a control surface with traditional Mixer View with per-track buttons/knobs/faders, and a Panel View with quick access to the status of 64 tracks. 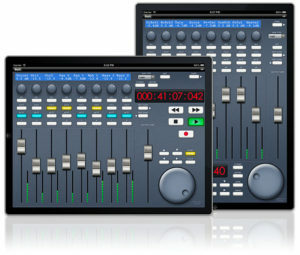 Supports major DAW software such as Logic, Cubase… (read details about DAW support at http://eyosido.com/eyocontrol/surface). – Transport: a simple Transport Bar including a large Timecode display, large control buttons and scrub wheel to operate basic play/record operations with your DAW/recorder software. – Pad: a 4/6/8/12-pads MIDI controller with tap-location sensitive (controls MIDI note velocity) pads suitable to play drum parts. Each pad has a configurable color/MIDI channel/note. A global velocity slider adds up to the velocity control of each pad. – Keys: a dual keyboard MIDI controller with separate MIDI channels assignable per keyboard. Choose among three key widths per keyboard, and customize key colors. A global velocity slider controls note velocity. – mXY: a multi X/Y controller featuring four independent, highly configurable X/Y controllers. Choose assignments among 55 MIDI Continuous Controllers or Pitch Bend. Each axis can be swapped, muted, reversed, mirrored… X/Y controllers can also be merged in a single coordinate system to create special effects when moving altogether. 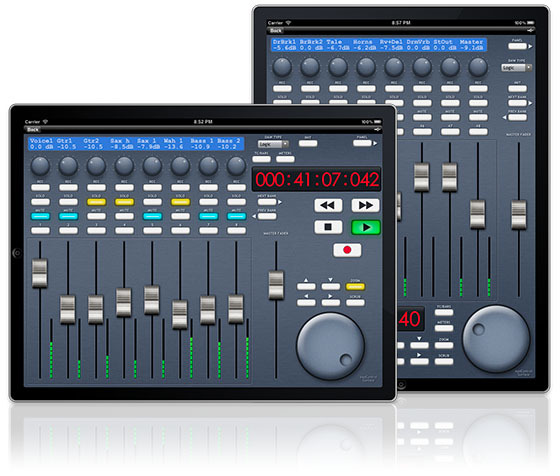 eyoControl communicates with your DAW through the iPad’s WIFI connection using either the native iPad wireless MIDI capabilities (CoreMIDI) or eyoControl Server (OS X only) for advanced connectivity options. Using a CoreMIDI compatible MIDI interface for the iPad or equivalent, you can connect your iPad to the MIDI ports of your synthesizer and take advantage of mXY, Pad or Keys to control the sounds of your synth. (no DAW or WIFI required in this configuration). NOTE: eyoControl is a set of MIDI controllers, it does not produce sound by itself! – iPad running iOS 4.2 or above. – a local WIFI connection or a CoreMIDI compatible MIDI interface for iPad or equivalent. – a laptop/desktop computer running either OS X 10.4 or above, or Windows XP/Vista/7 (rtpMIDI required when using Windows) or other system compatible with the iPad wireless MIDI protocol. 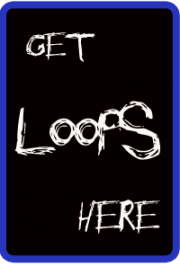 – a Digital Audio Workstation software / audio sequencer with MIDI support or a MIDI instrument.